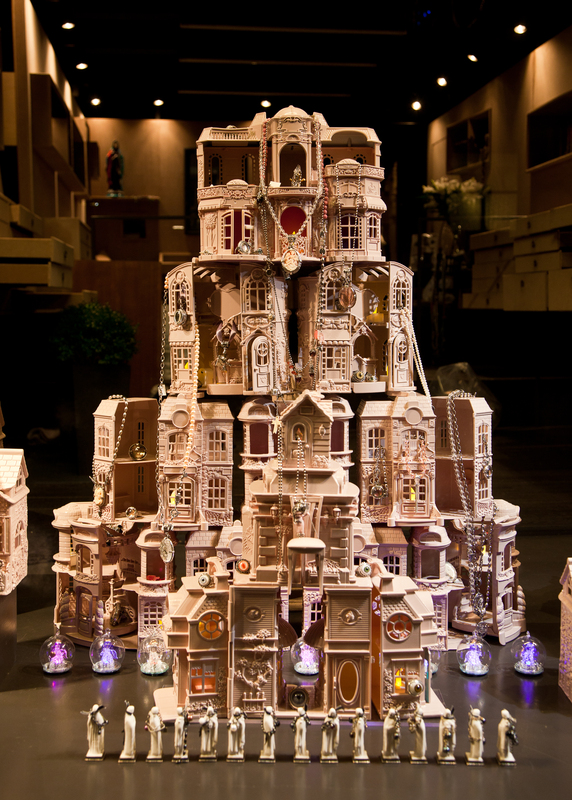 “The Sagrada Familia of the dollhouses” ~ HJ Kinkhorst, 2011. 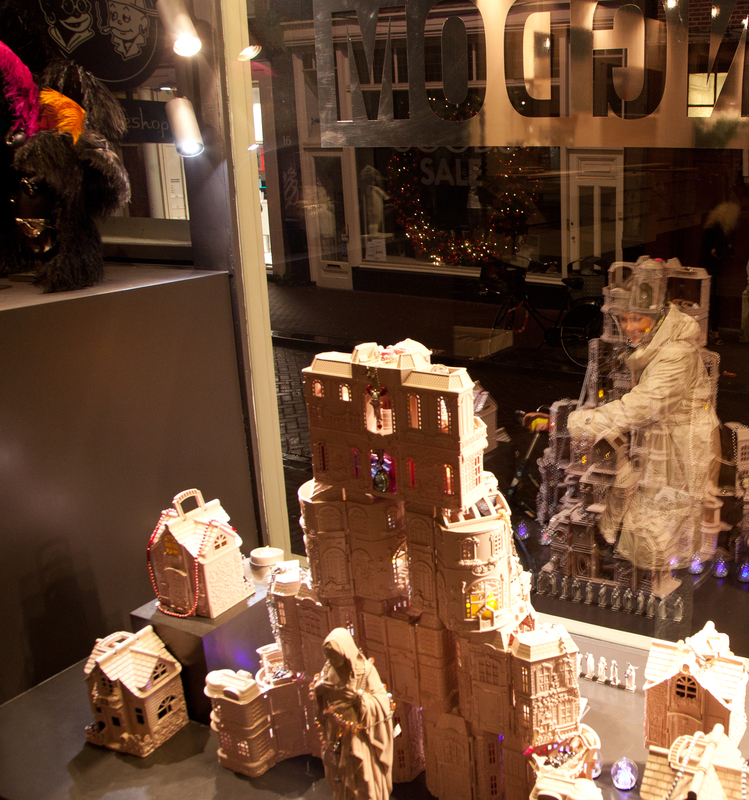 The boudoir, (15 x 60 cm) Adjustable assemblage, mounted on a transparent perspex stand. A house for the country. 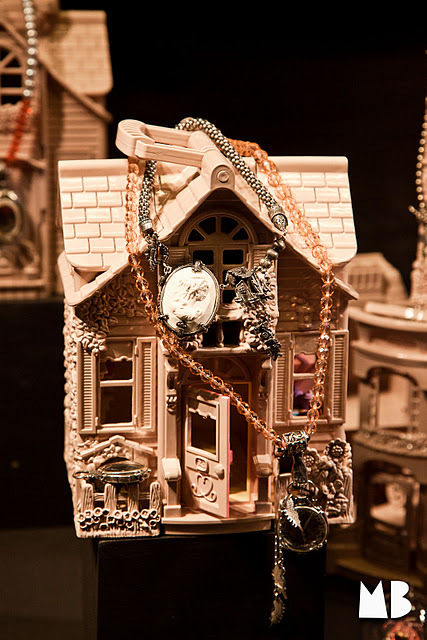 Jewelry case in the shape of a small, standalone cottage with altered interior in black. 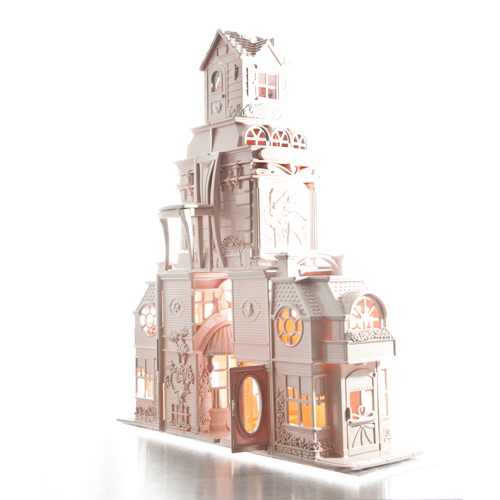 Detail of the City House or main building (1 x 1.20 m) Assembly. 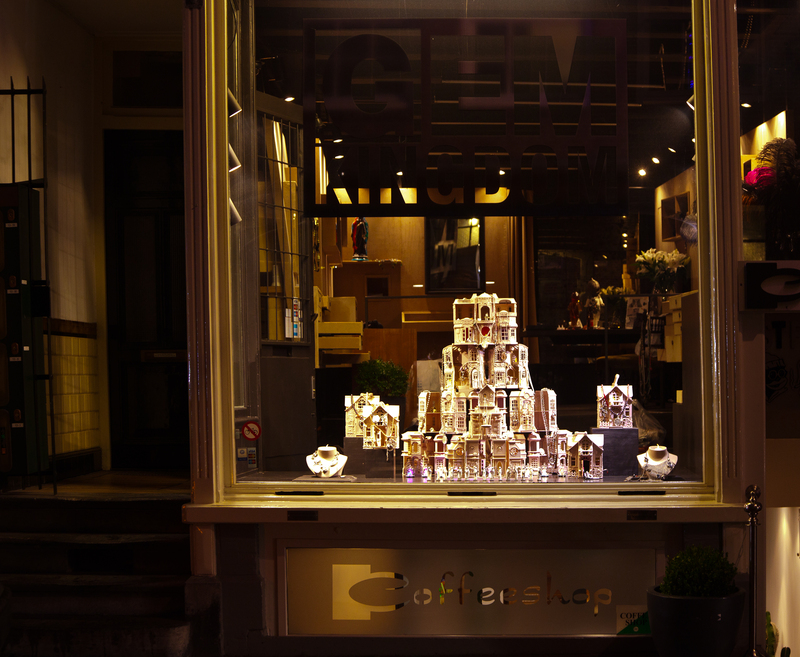 Mimi Berlin created the Christmas 2011 Shop Window at the Flagship store of The Gem Kingdom in Amsterdam. Above: Seen from the back. 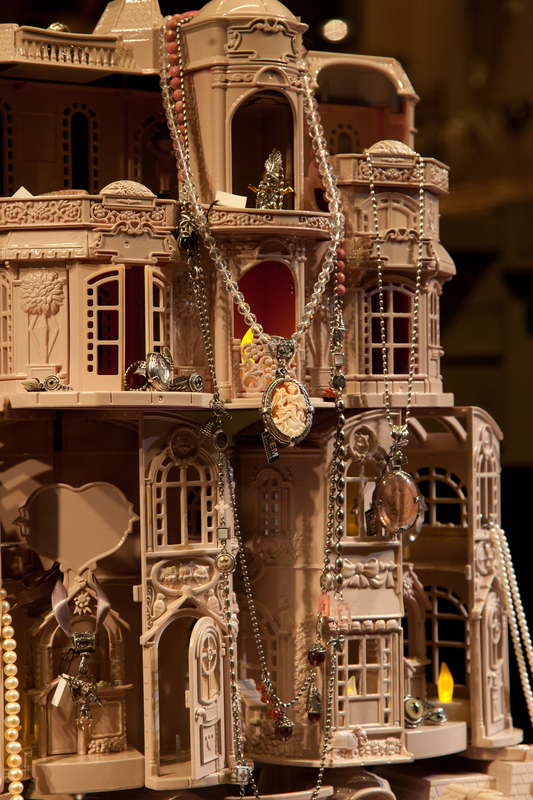 This entry was posted in MIMIMALL, SPECIALS and tagged a-MB-iance, architecture, assemblage, dollhouse, folly, homes, Mathilde Admiral, MB-Specials, Mimi Berlin, mimimall.me, plastic, portfolio, statuette by Mimi Berlin Amsterdam. Bookmark the permalink.